Glenn’s Gases Mod is directly designed for whom are survival players seeking a new way of refreshing the survivial aspects of Minecraft by installing new challenges and solutions. 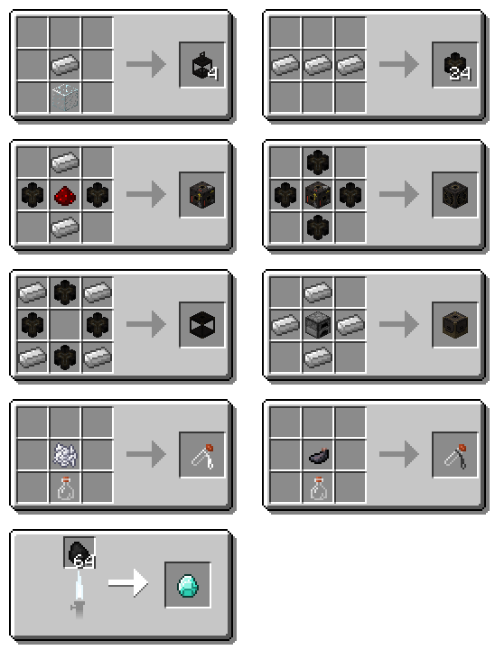 More specificly, it adds a variety of gases into your Minecraft world. 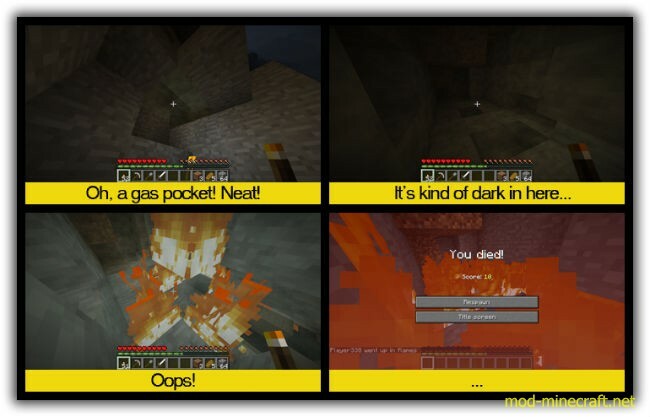 If you think the addition of gases will barely affect your Minecraft experience, you are very wrong. 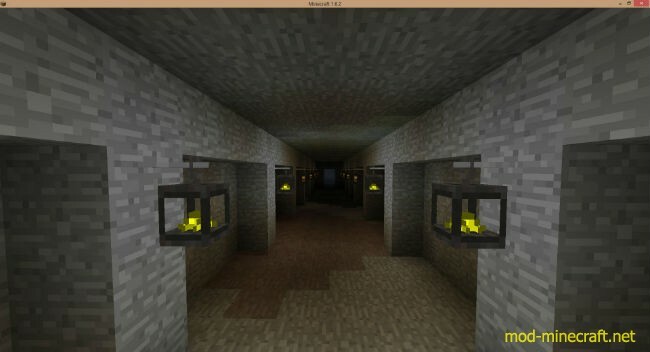 In real life mining, gases can be extremely dangerous. Some gases are very toxic, some are flammable, and some are even explosive. Even coal dust can cause major problems. The worst part is that some of these gases are hard to detect, because they can be colorless and/or odorless. Therefore, miners have to take safety precautions to avoid disasters. You might want to do so too. Neat flowing gases with different properties! Generated gas pockets! They don’t surface in the caves, so you’ll only find them if you dig for them. Deadly steam! Better be careful when farming that obsidian. Lanterns! They might look fancy but they are vital to your survival! Gas Pipes, pumps, collectors, and filtering! Gas Furnace! It’s faster, and can smelt a whole stack of coal into a diamond!